On a whim, I decided to make a few tweaks to our Christmas tree and mantel. I put it up early this year for the Home Depot Style Challenge. I didn't really want to take it all down only to have to put it right back up a month or so later. So, I was ready to change a few things after looking at it the same way for a while. The basic setup and decor is the same, but I switched out a few of the accessories, added some black ribbon to the tree and wrapped a few more presents. You can also see our new rug, details coming soon! I added another Lindsay Letters piece to my small collection. I just love her stuff. My sister's mother in law found this neat storage ottoman and gave it to me a few weeks ago. Isn't it great? I have a fun holiday table setting I'm working on and a few other little areas to share over the next few days. Can you believe Christmas is only a few weeks away? It has totally snuck up on me this year! 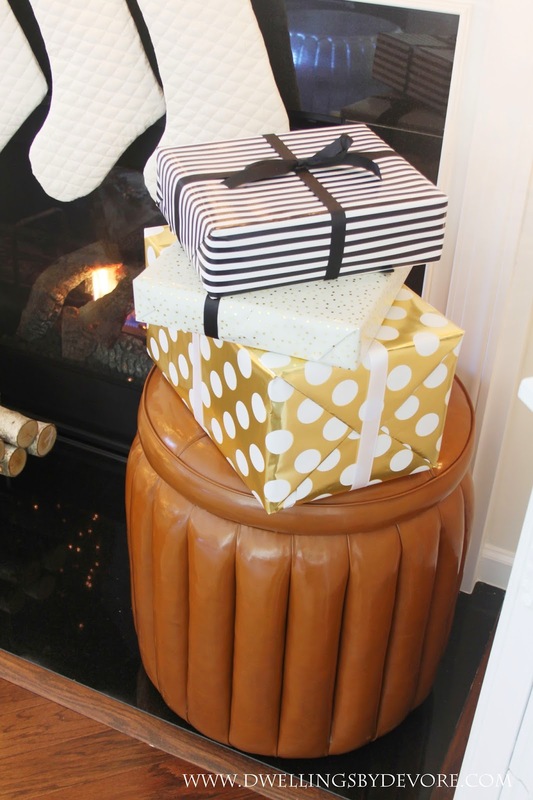 I love the shape of that fun ottoman! 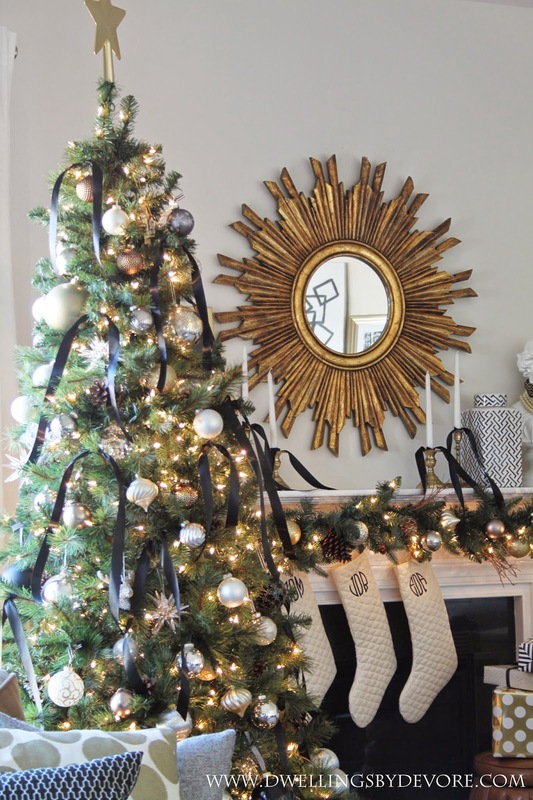 Absolutely love the idea of using ribbons on the tree! love the black ribbon! and the new rug looks fab in the peek! Where are the stockings from?? Adorable! Swoooooon. I just LOVE your style...so beautiful!!! Loved what you did for the Challenge, as well as these tweaks! How is Christmas already two weeks away?!? 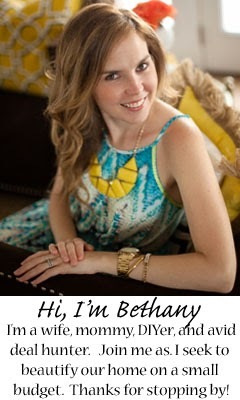 So pretty Bethany :) It is sneaking up on me too! I still have so many things to do, but pretty soon the kids will be on break and it will be easier to manage. 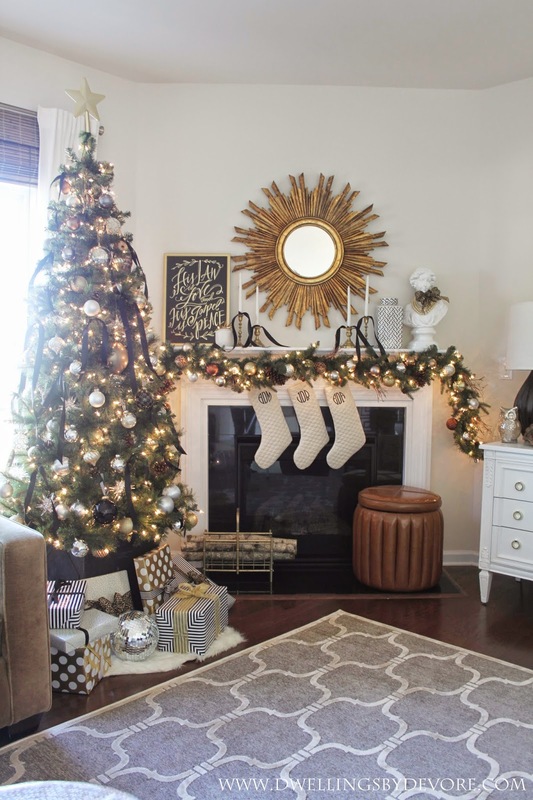 Love your tree and mantel, it's all so beautiful. Merry Christmas! 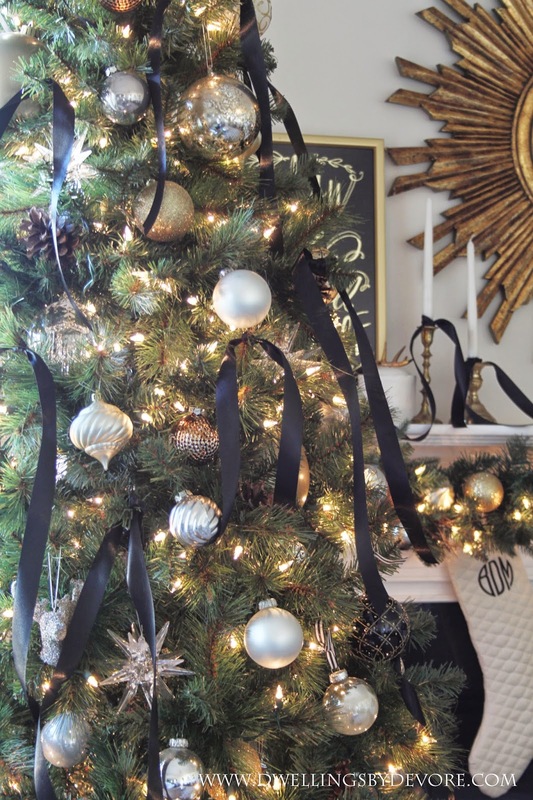 All of those black ribbons look amazing on the tree. They pop in the most perfect way. Love it! I love everything about it! That print is gorgeous, AND you have a disco ball?!?!? Gorgeous! gorgeous as always! Your home feels so lived in already Bethany! It's as if you've always lived there when I know you just moved in a couple of months back! I'm sure this first Christmas at your new home will be a very special one! So gorgeous! I adore the black ribbon everywhere! Lovely! 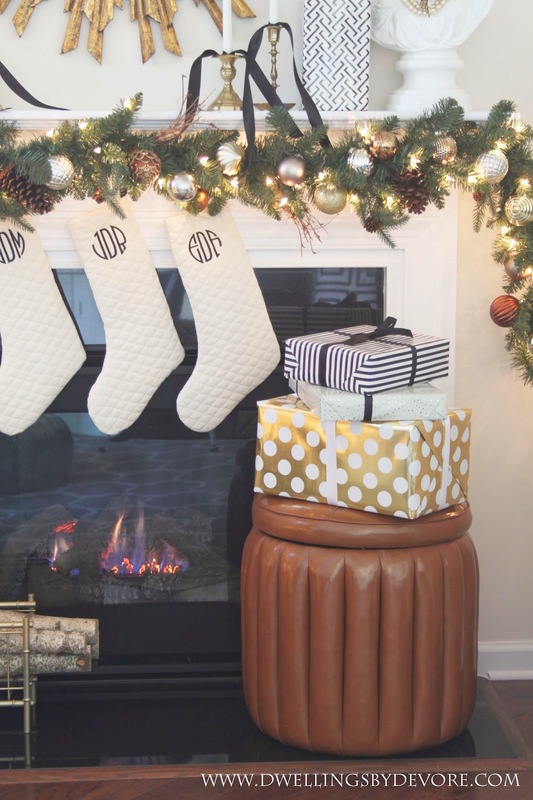 Love the black ribbon, the rug, and that ottoman is so great. No one mixes neutrals quite like you do Bethany. :) Beautiful. 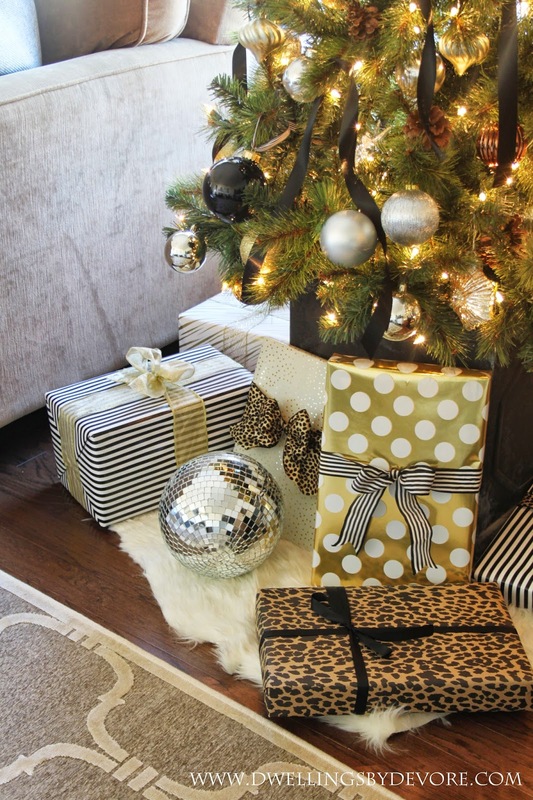 I'm obsessed with the leopard wrapping paper! Hi Bethany! I so love your blog! 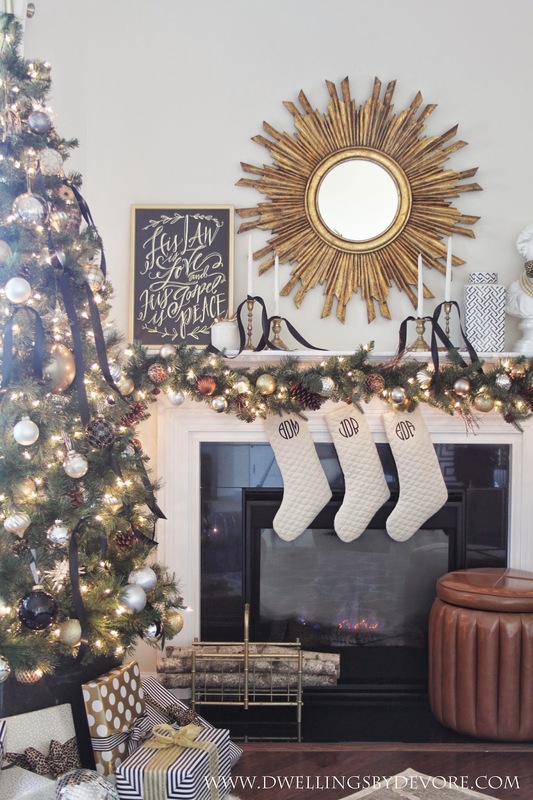 I know it's a little late for this year, but thinking towards decorating next year I'd like to do something similar to my mantle. 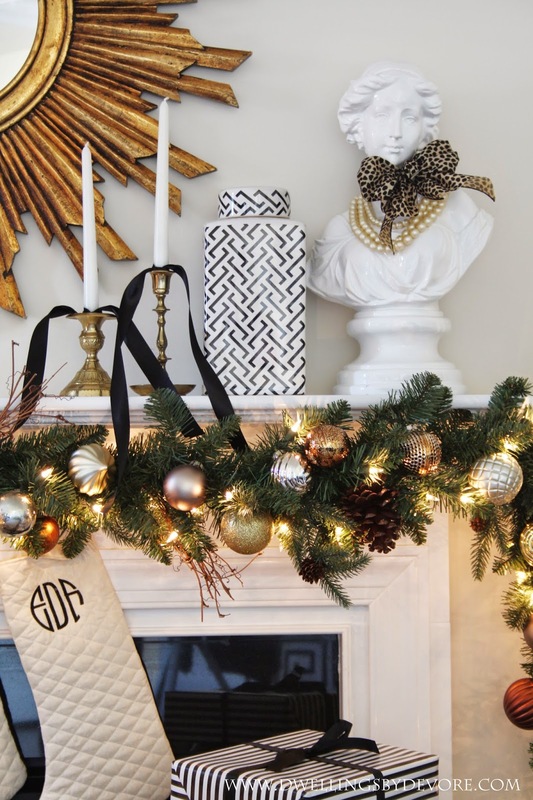 I need to have a cream painted mantle and I'm wondering how to attach a snazzy Garland like yours without messing up the paint. Can you share how you attached yours? Hi Bethany! I so love your blog! I know it's a little late for this year, but thinking towards decorating next year I'd like to do something similar to my mantle. 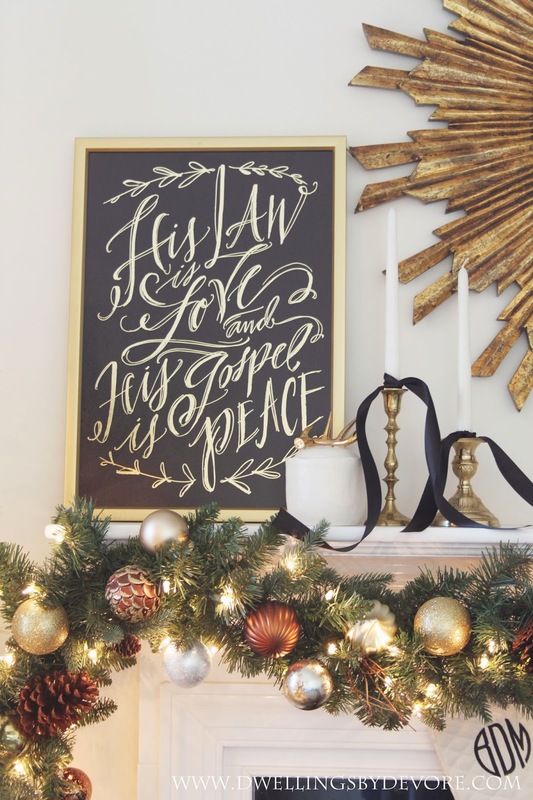 I also have a cream painted mantle and I'm wondering how to attach a snazzy Garland like yours without messing up the paint. Can you share how you attached yours?